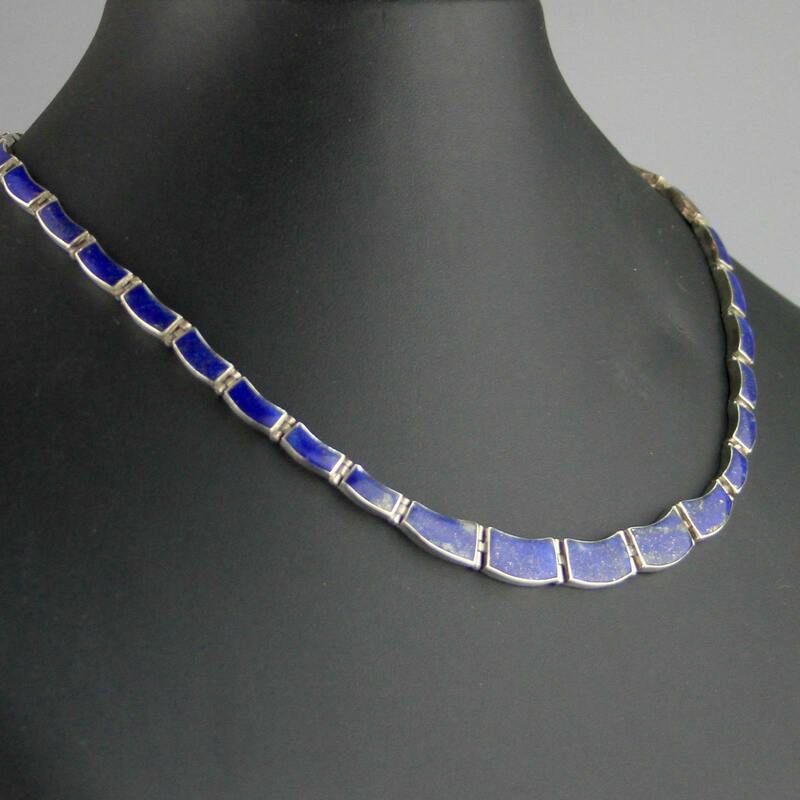 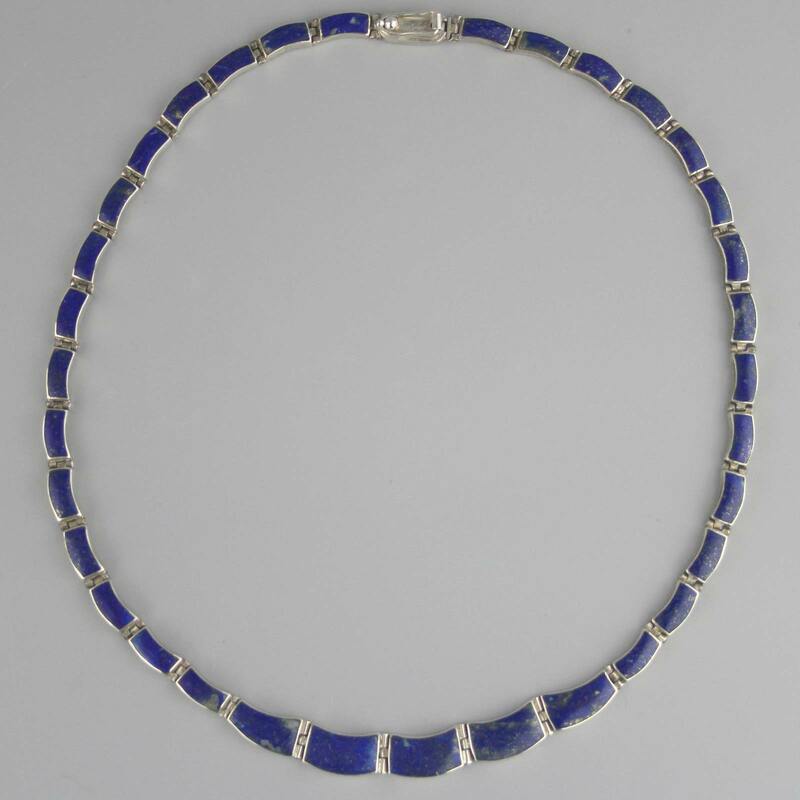 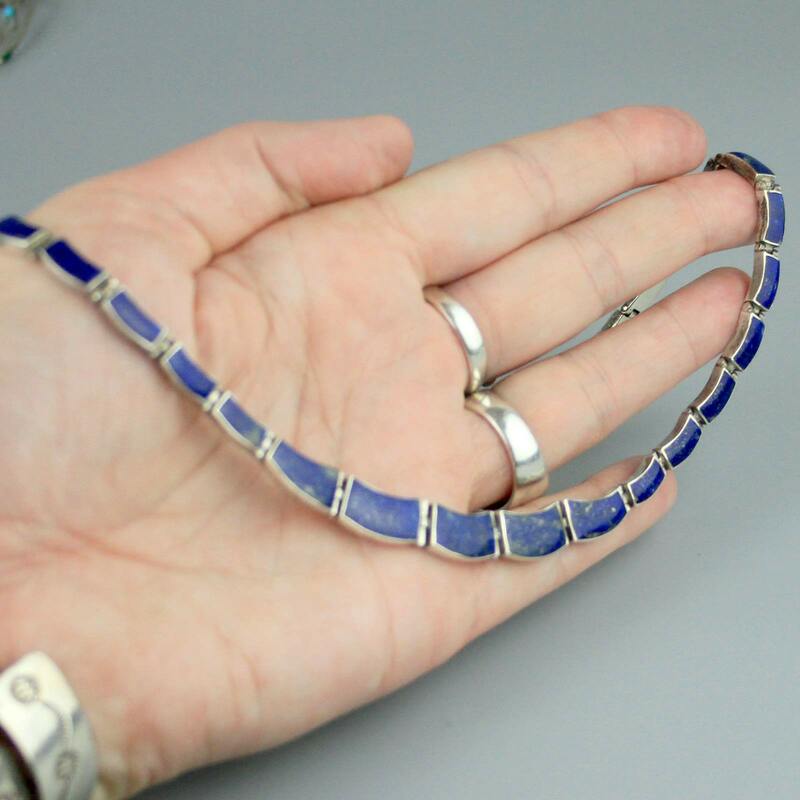 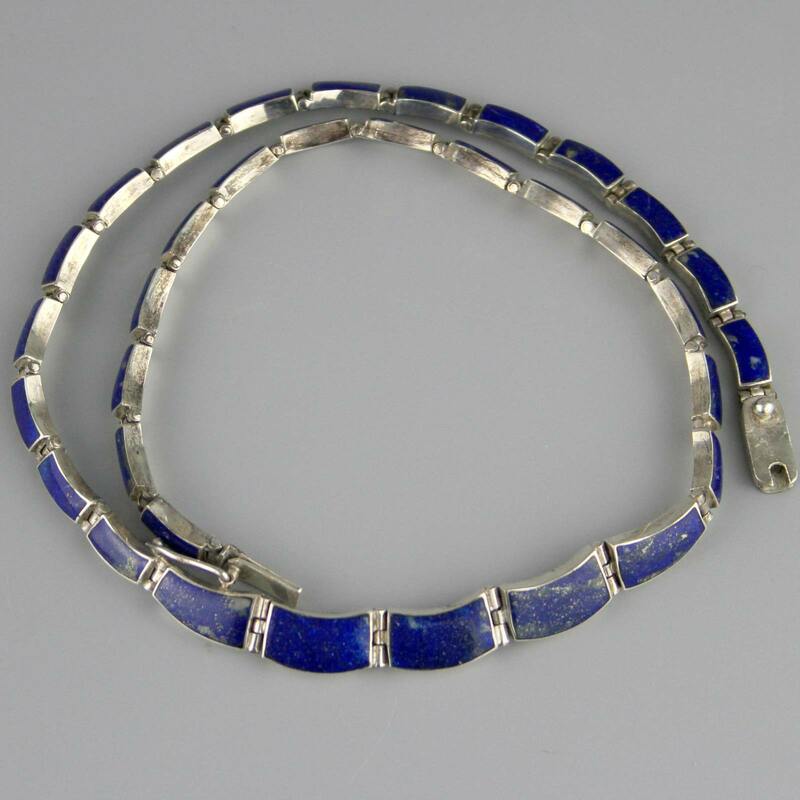 Beautiful rich deep blue lapis necklace. 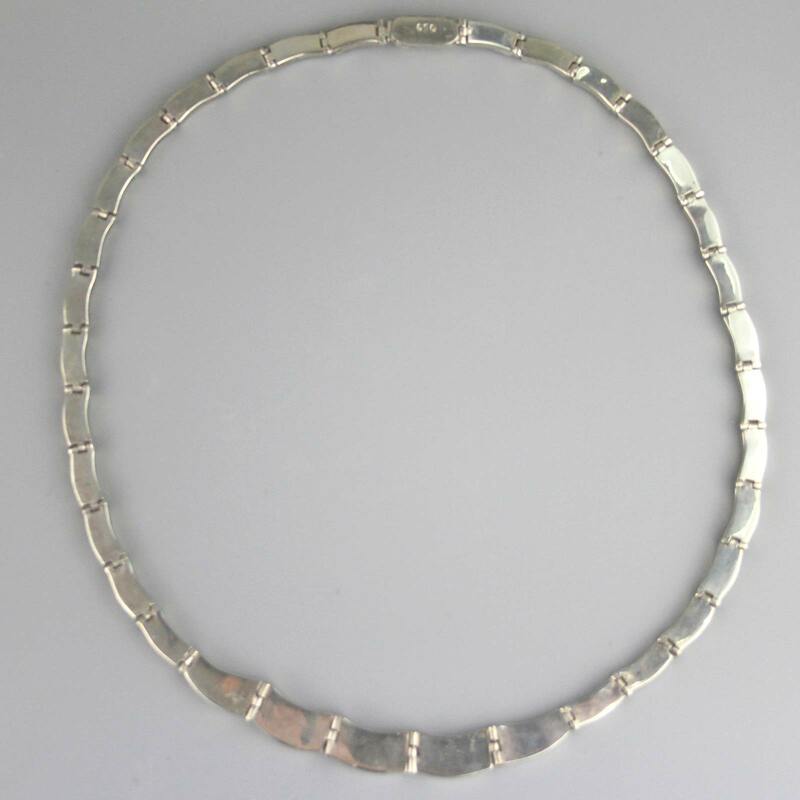 Handmade in Chile circa 1980's, made from higher than sterling, 950 silver. 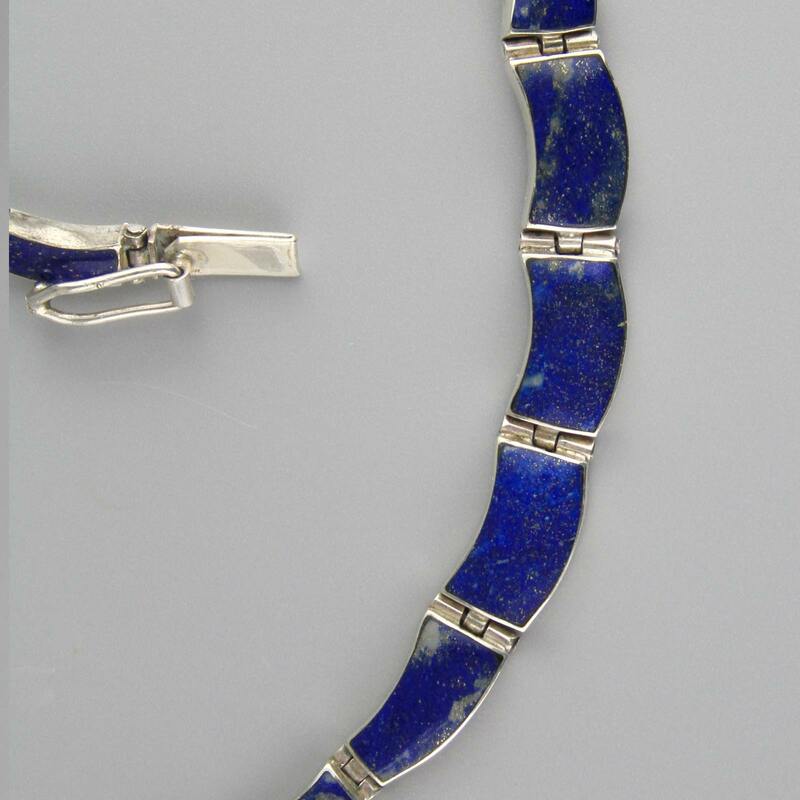 High quality, elegant and delicate, smooth articulated links, rich colour with pyrite inclusions. 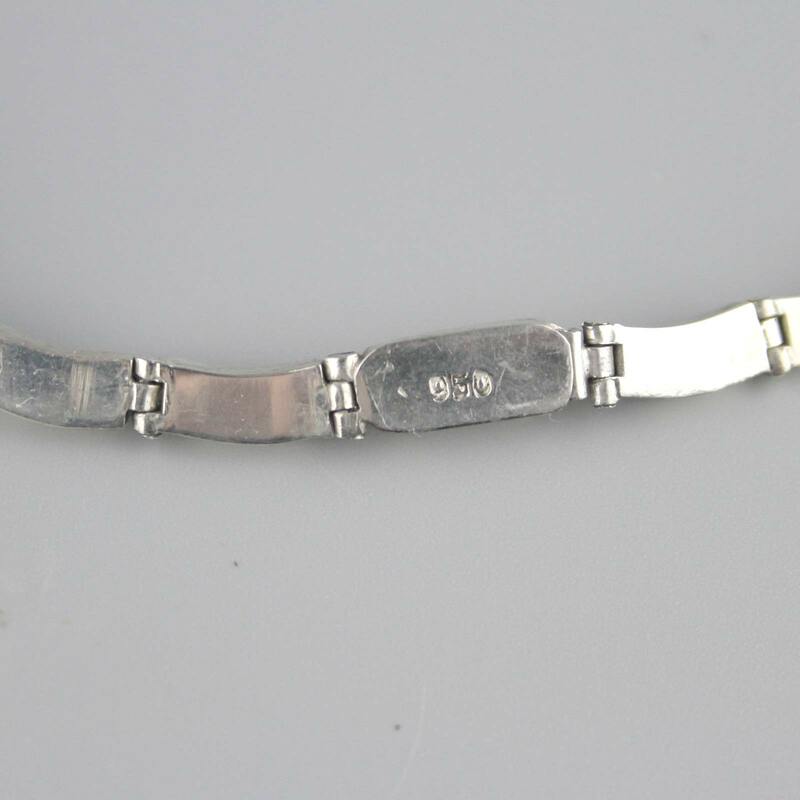 Safety tab clasp with a locking mechanism, would make a lovely gift.